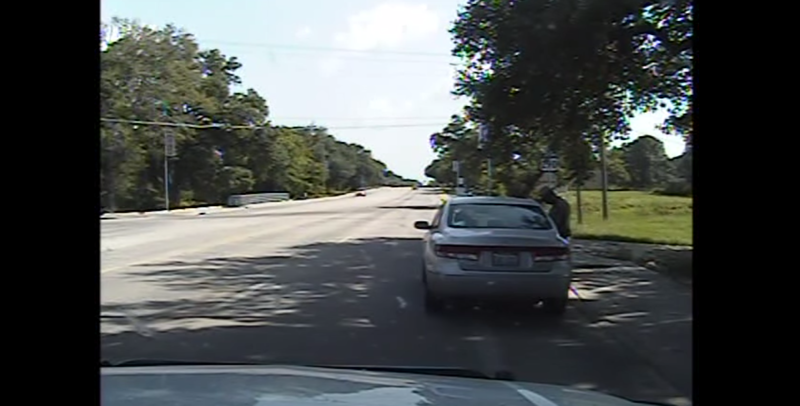 Authorities released dashcam video of Sandra Bland's July 10 arrest Tuesday as the U.S. Department of Justice has been asked to help in the investigation of her death. In the video the officer tells Bland she seems irritated and she agrees, and after a few minutes the situation escalates. "I'm going to drag you out of here. Get out of the car! I will light you up, get out!" the officer shouts. Off-camera, the officer's microphone captures the heated exchange that occurs. He can be heard telling Bland to put down her phone, which she refuses, replying "You feel good about yourself now. Why am I being arrested?" The officer is also heard telling her to stop moving as he handcuffs and arrests her. Officials are investigating Bland's death as a homicide. "It is important that her family has confidence in the efficacy of this investigation, which is why the Waller County Sheriff's Office and District Attorney originally requested investigative assistance from the Texas Rangers; and it's also why DPS requested the FBI assist in this investigation," said Texas Department of Public Safety Director Steven McCraw. Full dashcam video below. The stop begins around 8:00.